Let RE/MAX Southern Shores show you southern coastal living at the Reserve! The Reserve, a private Litchfield Community, can be found nestled between the Waccamaw River and the Atlantic Ocean in Pawleys Island, SC. 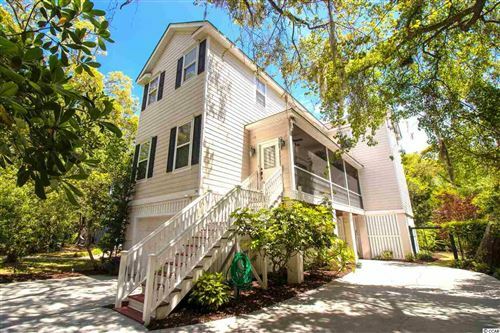 This community is one the best kept secrets in the Low Country. You will find gorgeous homes and lots for sale, wild life and a mild climate plus the tranquility of living near the ocean in Pawleys Island. Moss draped oaks and white sand beaches are just a few of the added attractions you will find at the Reserve. If you have ever dreamed of living in an area where the people are friendly and the way of life is easy then you have to visit The Reserve with a RE/MAX Southern Shores agent. If you are searching for real estate in Pawleys Island, The Reserve offers a magnificent Greg Norman designed golf course. The lay of the golf course kept in mind the interiority of the land. Using the words of one of the world's greatest golfers, Greg Norman said, "I'm confident you'll find The Reserve Golf Club golf course to be as aesthetically pleasing as it is challenging. I've certainly done everything I could to make it so." The Reserve, recognized as a premier golf course, has achieved both national and state rankings. The Reserve golf course is truly a one-of-a-kind golf course with only a limited number of members. The Litchfield community encompasses 50,000 acres between the Intracostal Waterway and the Atlantic Ocean. The Reserve at Litchfield is a 700-acre, gated community with a marina, tennis courts, biking trails, beach and river access along with a top rated golf course. 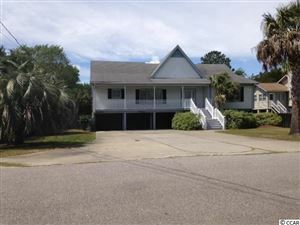 This gated community of Litchfield has a dry dock and wet boat storage as well as access to the Waccamaw River. Optional beach access is available through Litchfield by the Sea. In your search to find the perfect coastal Carolina home, let a RE/MAX Southern Shores agent take you to The Reserve at Litchfield. There are properties to suit every need including single-family homes, multi-family homes and estate properties. The Reserve offers luxurious homes and low country living at its finest! If you are looking for the community of your dreams, look no further than The Reserve at Litchfield. Reserve home sites range from ½ acre to 5+ acres. Golf cottages are also available at Harbor Club Villas and Huntington Mews Villas. Villas and homes are priced from around $420,000 to $1.3 million and home sites from $139,000 to $900,000. RE/MAX Southern Shores has a reputation of excellence and personal integrity. Our goal is to exceed your expectations throughout the entire real estate process. Call RE/MAX Southern Shores to talk with one of our skilled agents who is dedicated to your needs! Whether your interest is purchasing a primary residence, a second home for vacation, or an investment, RE/MAX Southern Shores agents draw upon a wealth of knowledge and experience. Call RE/MAX Southern Shores today at 843-839-0200 to make your dreams of southern living at its best come true!